When Art came to Interfaith ten months ago, he was 62 years old and having a hard time finding work. He had been laid off from his job as an electrical engineer a few years prior and after running out of his savings, began sleeping on friend’s couches when he could no longer afford his rent. During what he considers to be the lowest point in his homelessness, he was introduced to Interfaith. 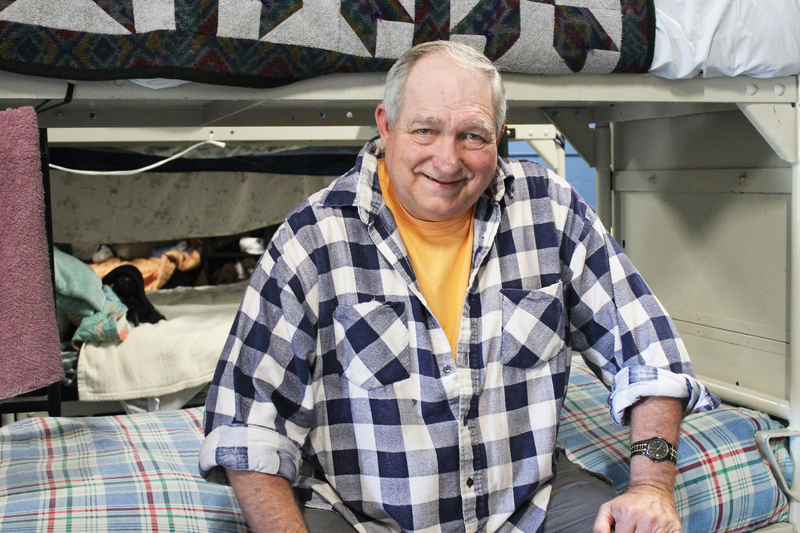 After receiving help replacing his ID and social security card, Art moved into Interfaith’s Haven House Year-Round Emergency Shelter, the only year-round shelter for both men and women in North San Diego County. While staying in the shelter, Art began volunteering at Interfaith, helping out in both the computer lab, where he assisted other clients in their job searches and with their resumes, and in the kitchen, where he cleaned dishes and served holiday meals. Because of his active participation both in his own success and in the success of other clients, when a spot opened up at Raymond’s Refuge, Interfaith’s permanent supportive housing for seniors, Art was one of the first to be considered. Today, Art is happily living in Escondido and has applied to renew his electrical contractors license in the hopes of find a part-time job. In the meantime, he has been volunteering at his nephew’s motorcycle shop and honing his engineering skills. For information on how you can support Interfaith’s Haven House Year-Round Emergency Shelter and people like Art, please contact Chief Development Officer, Robert Adams, at radams@interfaithservices.org.